Описание: УМК Blockbuster от издательства Express Publishing это популярный курс для взрослых изучающих английский язык, состоящий из четырех уровней – от Beginner до Intermediate. 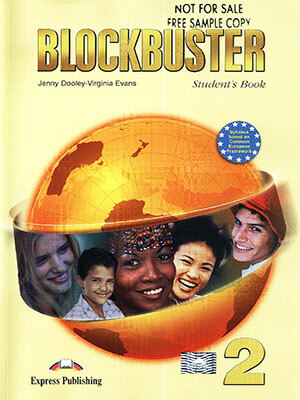 Blockbuster is a modular four-level English course for learners of English at Beginner to Intermediate level. It follows the principles of the Common European Framework of Reference and develops all four skills through a variety of communicative tasks. It is designed to promote active, holistic and humanistic learning. 1. Vocabulary is introduced in a functional and meaningful context, and practised through a variety of exercises in order to help students use everyday English correctly. 2. Situational dialogues in a range of everyday contexts familiarise students with natural language. 3. A wide variety of reading texts (e.g. e-mails, texts messages, letters, songs, etc.) allow students to practise and develop reading skills. 4. Discovery techniques are employed (such as Exploring Grammar) to methodically reinforce students’ understanding and to help students learn by exploring the language on their own. 5. Study Skills help students develop strategies which improve learning skills and enable them to become autonomous learners of the language. 6. Songs and Games in each module allow students to use language in an enjoyable way. 7. Writing sections have been carefully designed to ensure the systematic development of students’ writing skills through the use of all four language skills. 8. Culture Corner Sections: Students are provided with cultural information and read about aspects of life in English-speaking countries. Related tasks and creative projects give students the chance to process the information presented and compare it to the culture of their own country. 9. Curricular Cuts Sections: These enable students to link the theme of the module to a subject on their school curriculum, thus helping them to contextualise the language they have learnt by relating it to their own personal frame of reference. 11. Workbook & Grammar Book: The Workbook aims to consolidate the language presented in the Student’s Book through a variety of tasks incorporating all four skills. 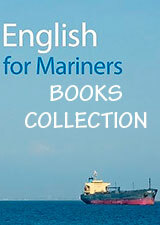 The Grammar Book provides further exploration of the grammar taught in the Student’s Book, with detailed theory and practice. 12. The CD-ROM provides fully autonomous practice and consolidation of learning in all four skills through the state-of-the-art visual, sound and graphic effects and the engaging, fully interactive tasks and games.